This June’s above-average temperatures have dried out vegetation which has many of us concerned about the threat of wildfire. 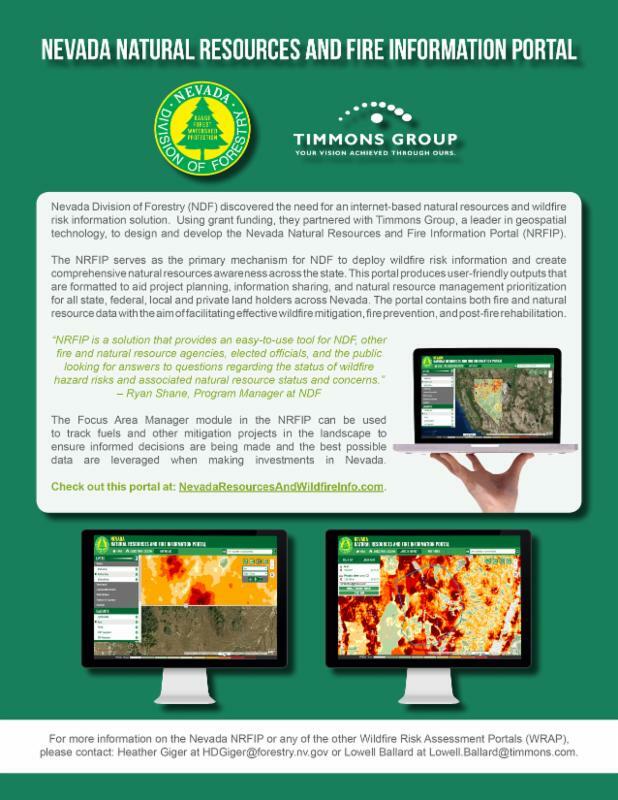 Read on to learn about how to take care when target shooting, how to safely remove cheatgrass during this season and about an online tool to help answer questions regarding wildfire mitigation, fire prevention and post-fire rehabilitation. 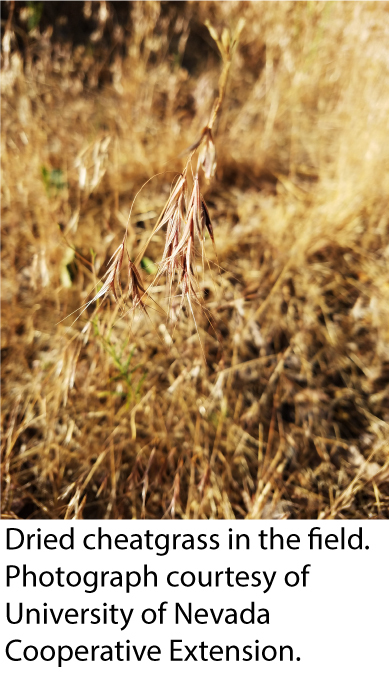 This fire season firefighters are faced with an abundance of fine fuel (i.e., vegetation less than a pencil size in diameter) such as cheatgrass, annual barley and mustard. These fuels ignite easily and burn rapidly often carrying flames into brush and trees that can burn with even greater intensity. When using wildlands this summer, extra care should be taken to avoid accidental fire starts. 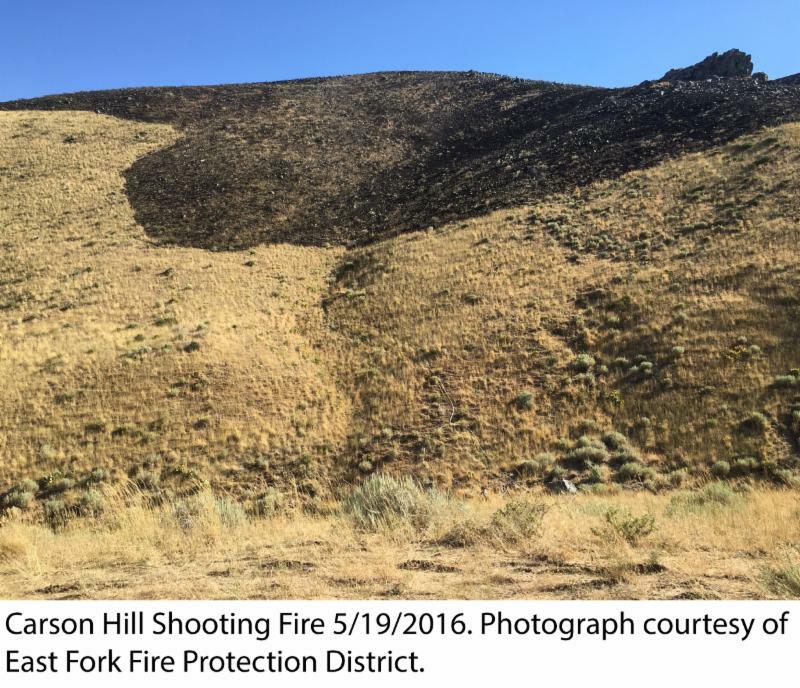 Northern Nevada has already experienced several wildland fires accidentally started by target shooting. These fires could have likely been avoided had the shooters made better decisions and been better prepared. Do not use incendiary or tracer ammunition. These types of ammunition are prohibited on public lands. Situate your targets in areas clear of vegetation such as on bare dirt and gravel. Placing a target in areas of dried grass and weeds increases the risk of fire. 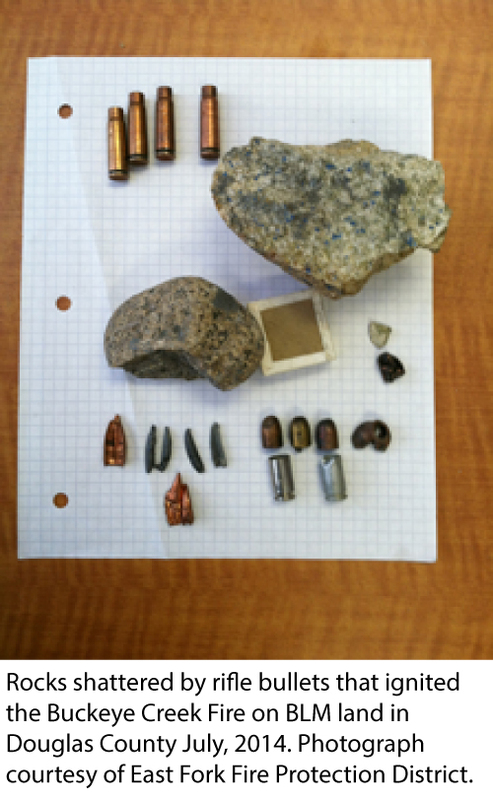 Do not use steel-core ammunition or shoot in rocky areas to reduce the possibility of sparking. Please note that steel core ammunition is prohibited on public lands. Bring a five-gallon bucket of water to extinguish an accidental fire start. 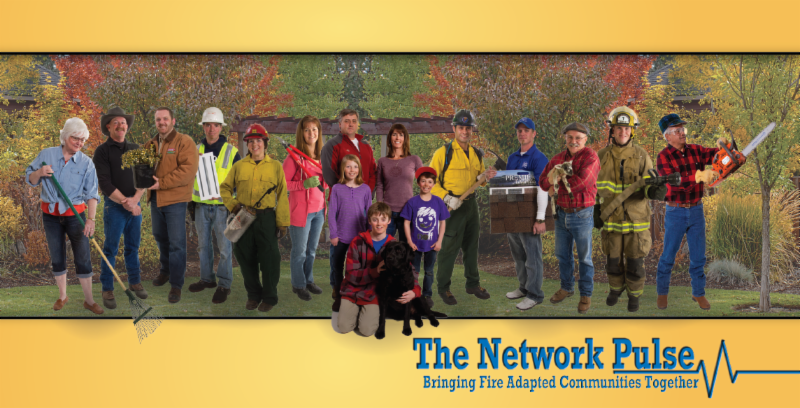 Use a shovel to dig a trench around the targets to contain an accidental fire start. Use high-quality steel targets to minimize risks to the shooter and the environment. Do not target shoot on “Red Flag” warning days. Target shooting is a popular pastime in Northern Nevada. Let’s make sure it’s a safe one as well. Note: Effective June 29, the U.S. Forest Service instituted a temporary shooting restriction which prohibits non-hunting discharge of firearms for the Carson Ranger District.